TRENTON, Mich. - Feb. 15, 2018 - PRLog -- Martenson Family of Funeral Homes knows that those who enjoyed the love of a pet over the course of many years know that we can feel the loss of that companionship very deeply. A beloved, loyal friend deserves a tribute just as a family member would. That is why Martenson Funeral Home now offers the opportunity to say goodbye to a pet in a healing, dignified way. Many have trusted Martenson Funeral Home with family for many years. They now offer many touching and dignified services that help you honor the memory of your pet. The professional, caring staff can pickup and transport your pet to our pet facility from your home or veterinarian's office, relieving you of that often-difficult responsibility. Call any of the Martenson Funeral Homes with any questions about our new Pet Services, or for the pickup of your beloved pet. Pet cremation services are also available. Since pets are regarded as family members, it is normal to grieve for them as such. Our pets accept and love us unconditionally and never pass judgment. Feelings of grief play out and creating a memorial service or funeral helps us to properly deal with our loss while giving us the opportunity to celebrate their life. There are many items available on the Martenson Funeral Home web site that will memorialize your special pet from Paw Prints to specialized jewelry. 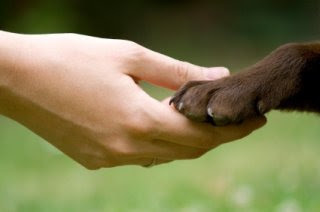 Grief support options are also available on the site under Pet Services. For more information on how we can help, contact Martenson Funeral Homes at 734-671-5400, www.martenson.com or visit their Facebook page. ATV Wrap A Vet Contest Winner's Vehicle Revealed!